An invaluable, one-of-a-kind resource in the Wired for Wealth series that teaches you how to Transform and Master Your Mind, Your Finances and Your Life by learning how to Create, Optimize, Master and Maintain a Great, Peak, Empowered, Psychological, Emotional and Physical “State” all of which is crucial in order to help you propel yourself to financial prosperity and your dreamlife. Self Empowerment Wealth Creation Strategies – is dedicated to, created for and written for the hundreds of millions, if not billions, of people, like you, all around the world who continue to quest everyday for financial prosperity, financial freedom, wealth mastery and the peace of mind that it brings in order to achieve their dreams and goals and live what I like to call their “Dreamlife”.What’s the secret and solution to financial prosperity? It all starts with Psychology, Mind Set and your Mental and Emotional “State”. And all of that is derived from your internal programming and self talk – both conscious and even more importantly unconscious. In anyone’s’ quest to achieve financial prosperity, wealth mastery and creating a dream life for you and your family, the most important key to it all is your emotional, mental, spiritual and physical “State”. Your “State” determines your Financial “Fate” and destiny. It is essential that you master how to create and maintain a great, peak state to help you propel yourself to financial prosperity and your dreamlife. The many affirmations, “oneness” poems, incantations and visualization techniques discussed in this book will help you to Get to and Maintain that Great State. 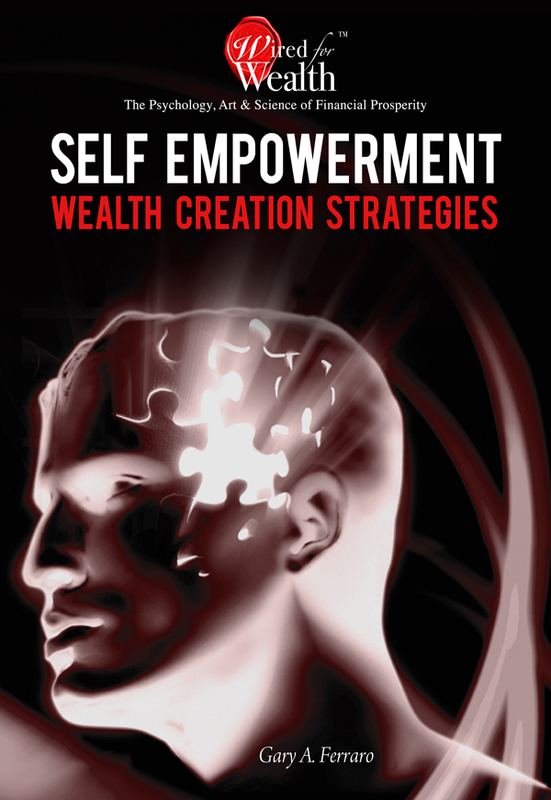 Self Empowerment Wealth Creation Strategies is a invaluable, one-of-a-kind resource in the Wired for Wealth (TM) series that teaches you how to Transform and Master Your Mind, Your Finances and Your Life by learning how to Create, Optimize, Master and Maintain a Great, Peak, Empowered, Psychological, Emotional and Physical “State” all of which is crucial in order to help you propel yourself to financial prosperity and your dreamlife. It provides a hands-on “state management” and “state optimization” system, a manual – a road map – and the needed guidance based on proven principles, practices and neuroscience – not theory. It is focused on specific tools, strategies and techniques designed to Get You In and Keep You In a Peak, Empowered Psychological, Emotional and Physical “State” using the proven principles, practices, techniques and irrefutable facts and discoveries of neuroscience as part of the basis for the strategies and ultimately the basis for taking the actions and producing the results desired. Read it, apply it and master it – and you will reap the rewards and be on your way to financial prosperity and your dreamlife. You can purchase the book online from Amazon or Smashwords in multiple eBook formats at http://www.smashwords.com/books/view/425928.